Payday for our Contest Winners! 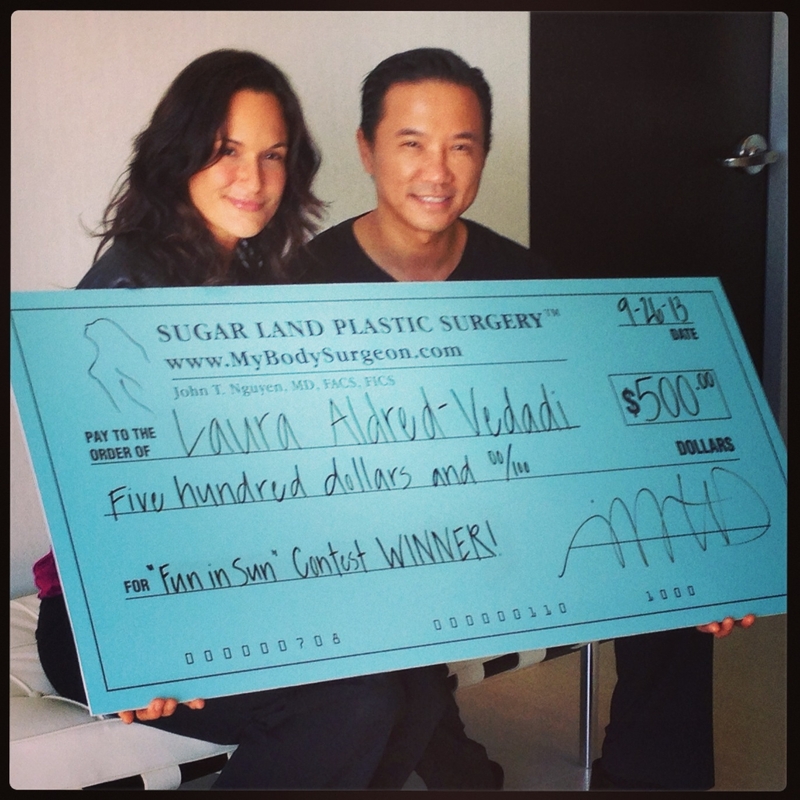 Thank you and congratulations again to Lali and Laura for submitting – and winning – your amazing “MyBodySurgeon” photos! ← SLPS “Fun in the Sun” Photo Contest Winners! Thank you for the cash prize. Totally did not expect to win…and honestly thought I was winning $500.00 towards a service with you, not $500.00 in cash. Talk about making my day, week, & month. It just goes to show you what a real genuine guy you are. You always have what’s in the best interest for others and not for yourself. I always have a great experience when I come to your office. You & your staff take the time to be personal and walk me through whatever service I am there for. I personally think you are a true artist and that combined with what you do, is a result of nothing but master pieces.